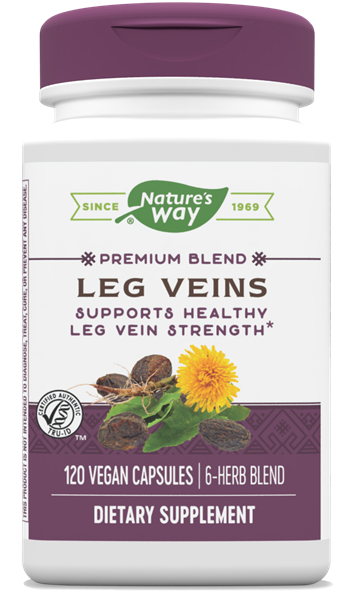 Leg Veins / 120 Vcaps - Nature's Way®. Not for use during pregnancy or nursing. Do not use if you have a blood clotting disorder. Persons with allergies to plants of the Asteraceae (Compositae) family, including ragweed, should use this product with caution. If taking any medications, consult a healthcare professional before use.